Located in Beaufort NC, year-round faculty at the Marine Lab in the Division of Marine Science and Conservation are engaged in research, education, and service to understand marine systems, including the human component, and to develop approaches for marine conservation and restoration. The Marine Lab campus includes state of the art research facilities as well as immediate access to sea-water, tanks, and boats for access to coastal sampling and monitoring. More information can be found here. 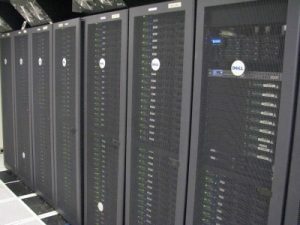 Oceanographers at Duke have a wide-variety of computational resources available for data processing and analyses and modeling. These resources include the Duke Shared Cluster Resource – a shared >4000 core cluster, Blue Devil Grid, RENCI, Teragrid and others. Many faculty with strong computational research also have additional ‘in-house’ computing capabilities.